Since its beginning in 1996 MLP Works has provided access to the publications, articles, media, and other scientific and creative products generated through use of MLP techniques and images. This section will continue to evolve as MLP expands. Check back for new entries. Higgs, E.S., and M.E. Sanseverino. 2012. Higgs, E.S., with G. Bartley, and A.C. Fisher. 2009. MacLaren, I.S., M. Payne, P.J. Murphy, P. Reichwein, L. McDermott, C.J. Taylor, G. Zezulka-Mailloux, Z. Robinson, and E. S. Higgs. 2007. MacLaren, I.S., with E.S. Higgs, and G. Zezulka-Mailloux. 2005. Mapper of Mountains; M.P. 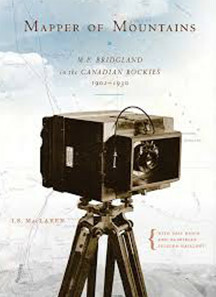 Bridgland in the Canadian Rockies, 1902-1930. 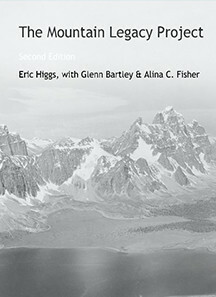 Higgs, E.S. 2003. 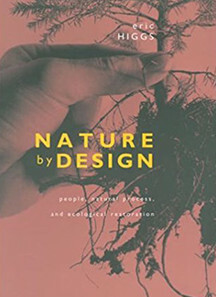 Nature by Design; People, Natural Process, andEcological Restoration.The MIT Press. Cambridge, MA. 357 pp. Fortin Julie.M.Sc. 2018. Landscape and biodiversity change in the Willmore Wilderness Park through repeat photography. Walsh Kristen. M.A. 2017. Blowin’ in the wind: encountering wind at fire lookouts in the Canadian Rocky Mountains. Tanya Taggart-Hodge. M.Sc. 2016. A century of landscape-level changes in the Bow watershed, Alberta, Canada, and implications for flood management. Jenna Falk. M.Sc. 2014. Historical landscape change in remote mountainous parks: management challenges observed through a repeat photographic lens. Christopher Gat. M.Sc. 2011. Feature-based matching in historic repeat photography: an evaluation and assessment of feasibility. Lisa Levesque. M.Sc. 2005. 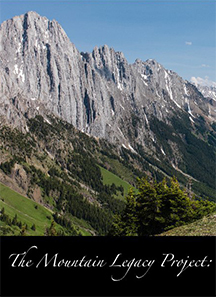 Investigating landscape change and ecological restoration [electronic resource] : an integrated approach using historical ecology and GIS in Waterton Lakes National Park, Alberta. Adrienne Shaw. M.Sc. 2009. Conservation and ecological restoration of Rocky Mountain subalpine meadows: vegetation responses to tree encroachment. Graham Watt-Gremm. M.Sc. 2007. Taking a good long look: disturbance, succession, landscape change and repeat photography in the upper Blakiston Valley, Waterton Lakes National Park. Trudi Smith. M.A. 2004. Vantage points: scientific photography in Jasper National Park. Jenaya Webb. M.A. 2003. 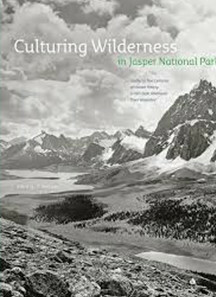 Imaging and imagining: mapping, repeat photography, and ecological restoration in Jasper National Park. Jeanine Rhemtulla. M.Sc. 1999. Eighty years of change: the montane vegetation of Jasper National Park. Fire History Study, Castle River Watershed, Alberta. 2012.